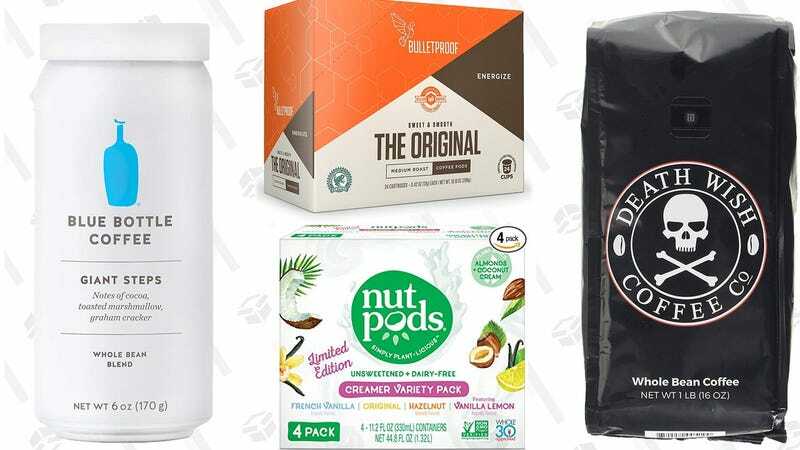 I know it’s pumpkin spice latte season and all, but if you prefer to make your own coffee at home, Amazon’s offering a great opportunity to save with this one-day Gold Box deal. Inside, you’ll find offerings from Blue Bottle, Bulletproof, and even high-caffeine Death Wish coffee, plus Nut Pod non-dairy creamers. Whether you prefer whole bean, ground, or pods, the sale has you covered, but don’t sleep on it, as the prices go back up at the end of the day.